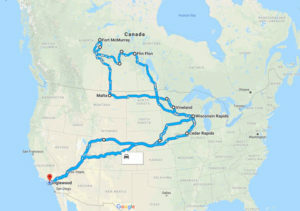 We have been conducting WVO Roadtrips for over 14 years and have several interesting statistics. 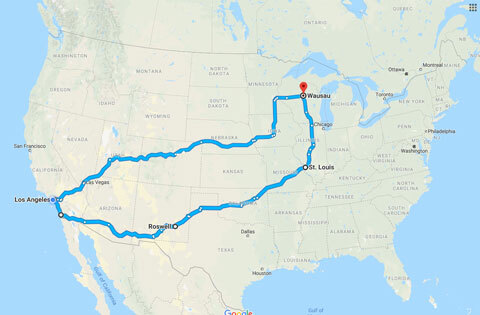 In the process of proving the longevity and efficacy of alternative waste oil fuel systems, we have driven a lot of miles. 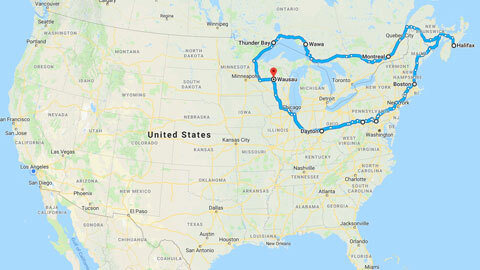 We even were in the running for the Guinness World Record for longest roadtrip driven on alternative fuels, but got beat out by a couple from Canada. 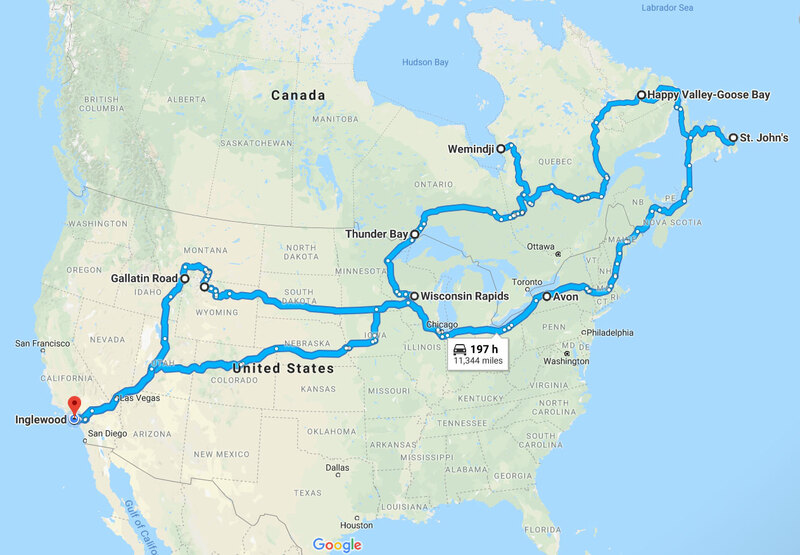 We would have the world record if they added up all of our accumulative miles driven since 2005, but they don’t allow breaks of longer than two weeks between roadtrips. Since most of our adventures occur in the Summer, there is too much time in between to qualify for the record. 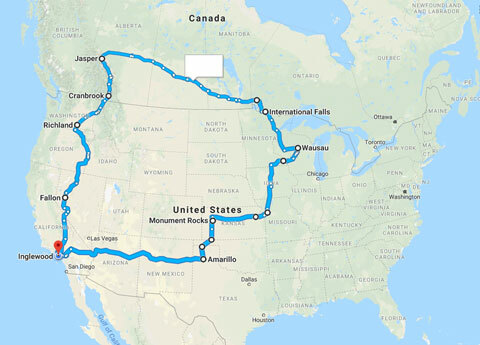 Every American state visited except Hawaii. 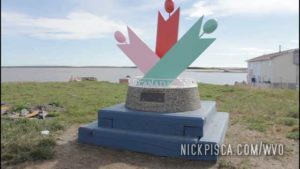 Every Canadian province and territory (including Nunavut) visited, including every major and moderate Canadian city. 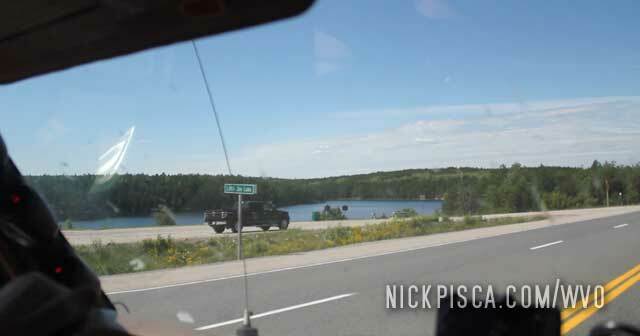 Yellowknife Highway (2013), and more. 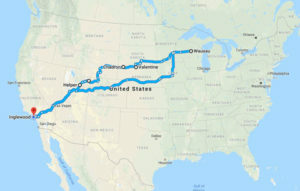 All Manhattan Project sites visited, except Trinity. 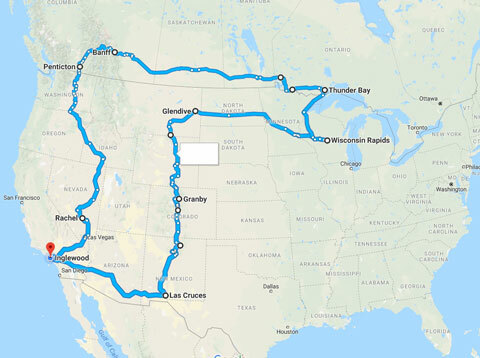 Nearly all American and Canadian national parks visited. Lowest Elevation Driven: 282 ft (86 m) below sea level. Bad Water Basin in Death Valley National Park in California USA. 2008 and 2013. Highest Elevation Driven: 12,183 ft (3,713 m). Rocky Mountain National Park in Colorado USA. 2012 and 2018. 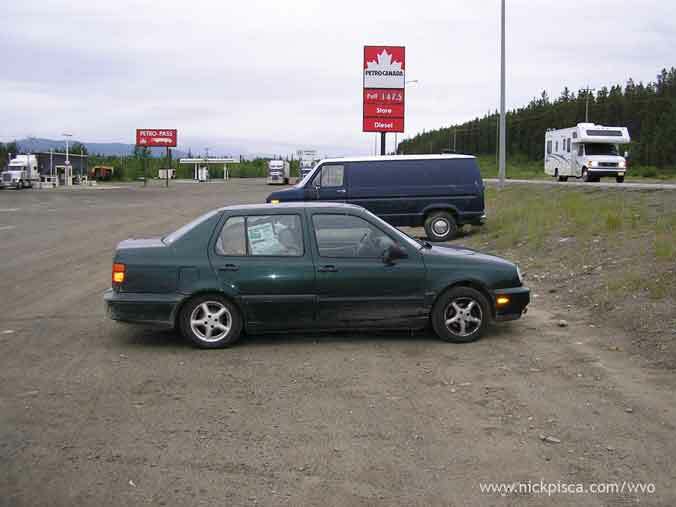 Best Fuel Economy achieved: 490 MPdG (miles per diesel gallon) with the 1998 Jetta on the 2008 Alaska Hwy Roadtrip. 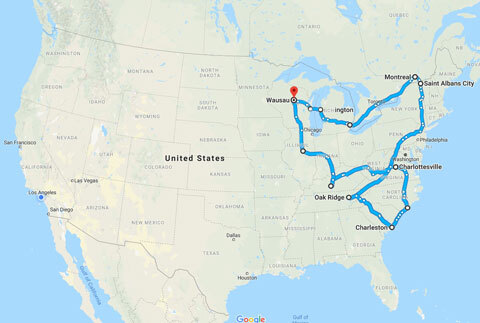 Overall Shortest WVO Roadtrip to date. 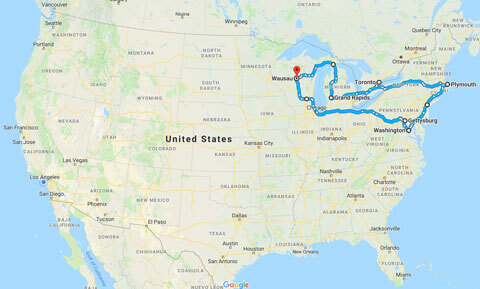 Interesting Fact: The Passat incurred a catastrophic turbo failure only 211 miles into the journey, which forced us to spend 2 days searching for parts in Milwaukee. Interesting Fact: First time we ate Poutine. 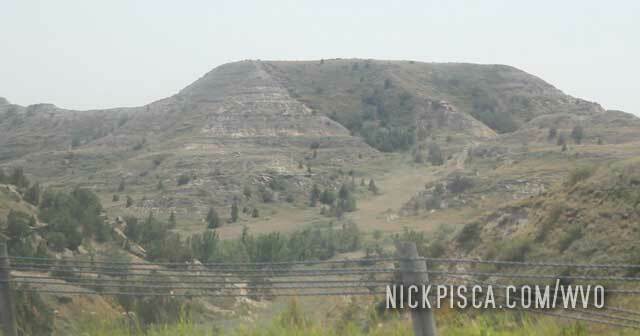 Interesting fact: Originally planned as an attempt to drive the entire Trans Canadian Hwy west of Thunder Bay, the trip was completely detoured mid-trip when a Manitoba visitor center clerk suggested we take the Yellowhead Highway instead, due to the main highway being catastrophically washed out near Medicine Hat. 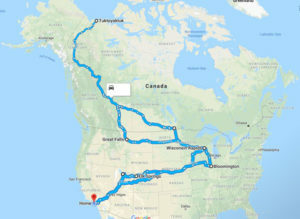 Interesting Fact: We often use the phrase “The THC” on our Canadian adventures to refer to their “only road,” which is a play on the abbreviation of Trans-Canadian Highway and their affinity for cannabis. 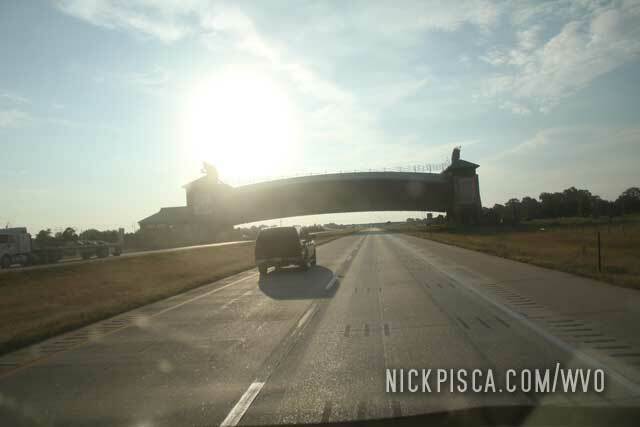 Interesting Fact: Supposed to be our retirement to WVO roadtrips, but that didn’t last long. Interesting Fact: This trip had a lot of issues with bladder control. Interesting Fact: Cod Tongue is supposedly a delicacy in Newfoundland, but it tasted more like a dare. 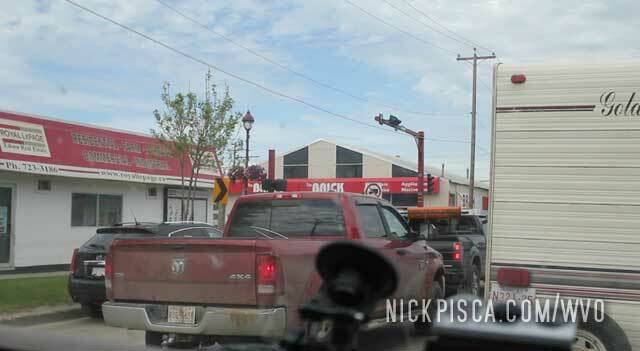 Interesting Fact: Cheyenne needs to enforce better parking laws. 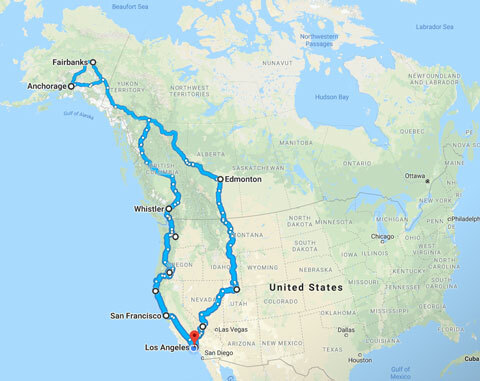 Interesting Fact: The overdrive failed in the middle of the Alaska Highway, so we had to drive no more than 55mph for over 3000 miles. 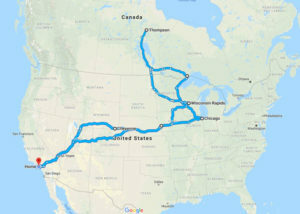 We are planning more trips in the future, but running out of ideas and places in North America. 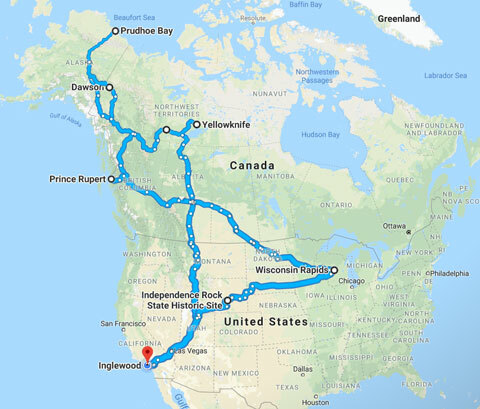 For 2019, we are contemplating driving the Trans Canadian Highway all the way to Victoria Island, where there is a section of the THC that we haven’t done yet. Also, Glenn has built a “Frankenvan” which is a mix between a VW TDI and Chrysler minivan, which would fare well on that paved journey. There are plenty of possibilities for future WVO roadtrips, and feel free to contact us if you want to help. We have been working on shipping one of our vans to Australia to circumambulate the continent all on biofuel. 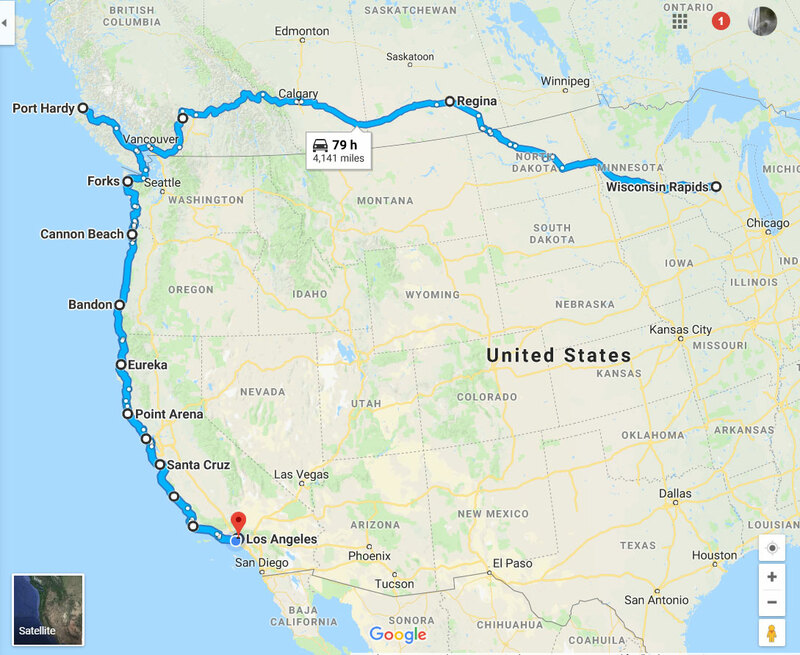 Another possibility is to ship the Veggie Van or Frankenvan to Vladivostok, then drive the Trans Siberian Highway all the way to Europe. Then ship the van back to North America through Lisbon, Bilbao, or Saint-Nazaire. If you live along these paths and want to contribute, email us. A third option would be to find a willing European that has a diesel vehicle and wants a biofuel system, then we fly to their town, install a kit, and use the vehicle to travel Europe and Asia. Then the original owner gets to keep the kit. It’s been a fun project and hobby, and we hope to continue for many more years to come.